On August 5 2016, teachers, artists, university students, Federation and Department officers and members from migrant and refugee community organisations came together to be provoked, enthralled and appalled while viewing Steve Thomas’ documentary Freedom Stories. Freedom Stories follows recently arrived refugees and their families as they settle into their new lives in Australia. The film depicts the anguish, joy, sacrifice and scars of those attempting to put their past behind them as they commit to their new home and allow themselves the space to build hopes and dreams for them and their families futures. The Federation event commenced with the screening of Die In Every Beautiful Day, also about asylum-seekers. It poignantly portrayed the situation for those in Australia living on bridging visas and those still waiting for their asylum claims to be processed. The short film shocked the audience as the desperation and depression of those depicted was shown through the eyes of those who had to endure such suffering on a daily basis. Names and ages of those who had never made it scrolled across the screen as the film showed the many who had taken their own lives or been killed, no longer able to face their existence in limbo and constant rejection from immigration officials. 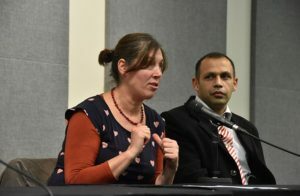 The event concluded with a Q&A panel with Freedom Stories’producer Lisa Horler, Amir Jarvan, who is featured in the documentary, Tim O’Connor from the Refugee Council of Australia, and the maker of Die In Every Beautiful Day, Amir (full name withheld), a clearly talented young asylum-seeker. Mr O’Connor highlighted the dichotomy between refugees under programs such as UNHCR and those fleeing persecution and pursuing their rights to seek asylum in Australia. While the former are oriented and supported as they should be, the latter are detained and incarcerated without rights or a voice. Freedom Stories is a must-see. Click here to downloaded the order form for the DVD. The DVD includes a section, “More Stories” that is perfect for use in high schools and complements KLA studies required by BOSTES. There is an accompanying study guide.